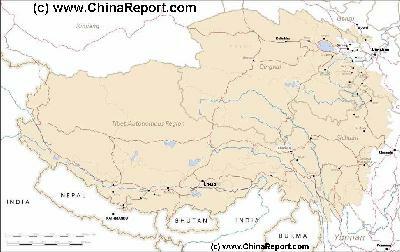 Geographic & Historic Maps on Kunming, Minorities and related Regions of Yunnan Province. Kunming (Simplified Chinese: 昆明 ; the place south of the clouds) is the Capital City of Yunnan Province in south-west China. The city is situated along the eastern shore of the large Dianchi fresh water lake. 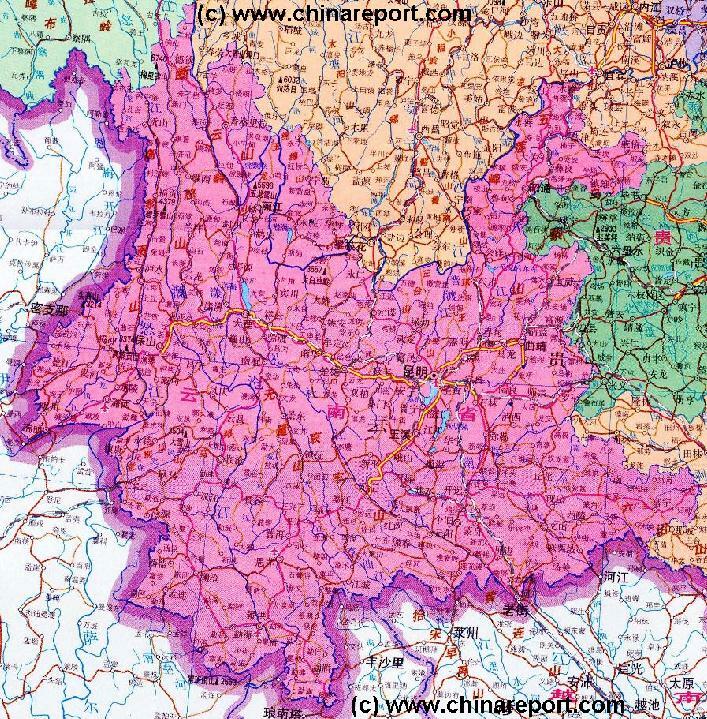 Please browse around the City of Kunming and wider Area using our Geographic & Historic Maps. Find out more about the City and Area through our many Photographic Reports on the main historic landmarks and Monuments and their rich history. There is no information available on the many landmarks of Kunming City and Prefecture. Kunming has one main railway station and an airport. Surface Area (of Prefecture level city): 21,473 Sq kilometers. Population: The Total Population of Kunming City and its Prefecture..
As in many Chinese Cities, the changes made in the city of Kunming since roughly the turn of the millenium have been staggering and no less then drastic. The drastic physical changes to what was previously a relatively poor city, but now a thriving and modern metropolis, have had a profound impact on all aspects of life in the city and every single citizen. Over the past decade, the city of Kunming has essentially been torn down, rebuilt, torn down again and then further developed. The old city, which held a multitude of wooden houses, low rise apartment buildings and many narrow streets and back alleys, has been transformed. Today's Kunming is no longer a slow-paced leasurely, albiet it somewhat filthy and overcrowded getaway, but a city of modern office highrises, new appartment blocks, many shops and malls and ofcourse wide bloulevards and roads. As a result of the huge economic achievements made through reform and the advent of rampant Capitalism, social life in the city of Kunming has been completely changed. Although a core of the old town has in essence been preserved, the leasurely ways of the past are no longer. The family life which used to concentrate in the old heart of the city has been moved to the sub-urbs making way to a thrilling rush that leaves even local citizens confused. Citizens of the old houses now live elsewhere, suddenly torn from their old neighborhood and social network to enjoy the pleasures of brandnew housing which introduced to many for the first time the flushing toilet, running water, baths and other never before seen or enjoyed luxuries. Although indeed, whole neighborhoods and clans have been relocated together, the momentous changes have taken life to a new level, and some say - have widened the gap between the Chinese rural and urban lifestyles. Although much improved, Kunming no longer is the "Shangri-La" that so many romantically still crave for. 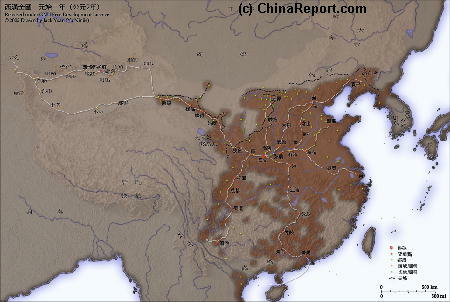 Map of China during the Rule of the Han Dynasty (206 BC - 221 AD) with the main trading roads of the Empire, the Silk Road and location of Huixian marked. In the Summer of 1945 Frank Bagnall Besnack was stationed in Kunming office of Startegic Services (OSS), slated for what was considered a "suicide mission" behind Japanese lines in cooperation with the Kuomindang Nationalist Government. The mission however was cancelled and Besnack went on to other possibly more influential historic deeds. 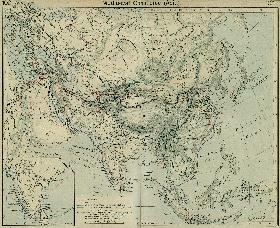 Map Trade Routes in Asia in the 13Th Century. A Schematic Map of the Eurasian Trade Routes existing in the 13Th Century. Clearly marked in Red Accent on the Map are the cities of the network of land-bound trading routes through Central Asia known as the Silk Road (the path of Marco Polo and others). 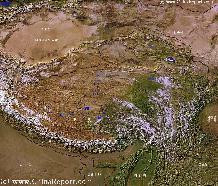 Included for reference are current Internationa Borders, provincial borders, locations and names of main cities and towns, main rivers and lakes, mountains, important Tibetan-Buddhist Monasteries and other places of significance. Soundbonus - Chinese Instrumental Classic - "Kunming (In Anticipation of Winter). By Unknown Artist. There is no information available on the climate in Kunming.